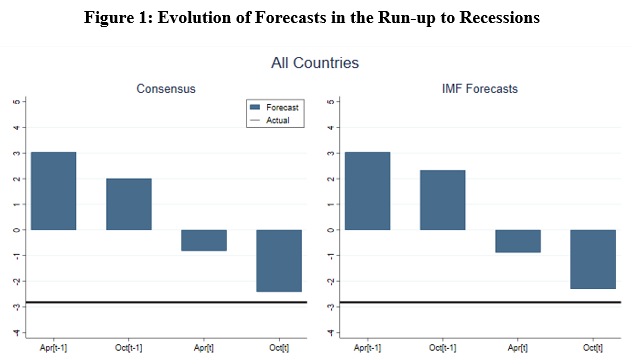 In 2000, I wrote in the Financial Times that “the record of failure to predict recessions is virtually unblemished.” In time for Groundhog Day, my colleague Zidong An, Joao Jalles and I have updated my analysis so that it now covers the years 1992 to 2014 and 63 countries. We find that there is little reason to change my assessment. Like Bill Murray, I am reliving the same moment.